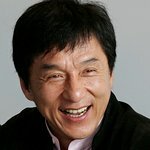 Jackie Chan is the subject of a fantastic article on celebrity charity giving in Forbes Asia Magazine. “Chan has always regretted his lack of a formal education. So when he launched the Jackie Chan Charitable Foundation in 1988, it offered scholarships and other help to young people. Over the years the scope has broadened to include medical services, help for the poor and quick responses to natural disasters. After China’s Sichuan earthquake he donated more than $1.3 million to relief. His impact is multiplied when he lends his name and puts his boundless energy behind a cause.